On May 17, 1969, CPT David R. Crocker Jr. was killed in action in Viet Nam. His widow Ruth recounts her life with CPT Crocker in her book Those Who Remain. She details attending a reunion of her husband’s unit years later when she is invited to visit the Viet Nam War Memorial on the Mall in Washington, D.C. with the Soldiers he led in battle. As she approaches and walks along The Wall, she relates memories of her David in various assignments and contrasts them with how she thinks combat veterans she is there with think about their memories of the war, each other, and their beloved commander. I made a trip to The Wall a few weeks before reading Ruth’s account of her first time to the memorial. Unlike Ruth, it was not my first trip. As I walked along the increasingly tall black stones, the first thing that struck me is how rude some people can be. After suggesting to a younger man that his cell phone argument should be completed elsewhere, I returned my attention to those engraved slabs. I found myself contemplating each name that caught my eye. I wondered how my brain selected some names to look at while skipping over others. My thoughts wandered to my own combat experiences. I mentally compared my experiences to those who fought in Viet Nam and eventually to every other war. By now I found I completed enough steps so the stones were over my head. I noticed the reflection of my battle buddy on the surface of the stone, himself a combat vet in a different place and time from me or those whose names appeared before us. Like me, he would focus on some names and skip others. Unlike me, he remembered his childhood neighbor heading off to Viet Nam. He never returned. Today he searched for his neighbor’s name. As I remembered this visit and my other visits to The Wall, I conversed with my friend about his experiences at The Wall. After reading and considering Ruth’s description I started to realize why The Wall is such a powerful memorial. There are several war memorials on the nation’s Mall. There are even more in the D.C. area. Many are large signifying the importance those wars play in history. Others are smaller, almost unseen and forgotten like many of our nation’s conflicts. While it is true these smaller wars and monuments are less known, they are no less important for those who served and those who died in those conflicts. Yet the Viet Nam Memorial is a most powerful monument to our fallen heroes. The Wall is a powerful memorial because it allows people to project their own thoughts, feelings, and memories about war, their loved ones, and their experiences. That is why a Gold Star Wife can accompany a veteran wearing a Combat Infantry Badge and feel connected. Each brings their own stuff, projects it on the tall, cold, black stone and The Wall, like a black hole, absorbs it all. Visitors do need not know any one person of the 56 thousand inscribed on those black shiny panels to project their stuff on to it. The Wall accepts everything just as the service members whose names appear on The Wall. Other monuments and memorials of war are different. They have more conventional shapes. Each is a different size. Their materials and colors change across each individual monument, yet seem to copy from each other. Each of these attributes deflect projection. I cannot see my battle buddy’s reflection living or dead in those other memorials. Those memorials are about their war only. Thoughts, memories, and other reflections ricochet off their surface the same as a 5.56 does on hard surfaces. The Wall accepts them all. 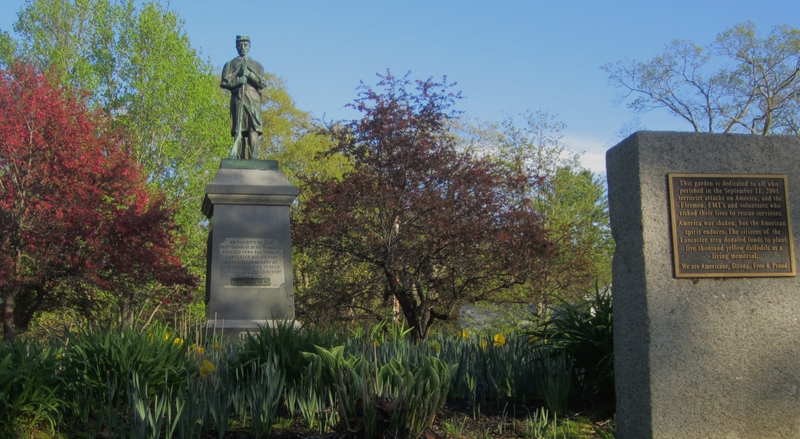 The purpose of memorials are to allow people to remember the past, and make a connection with those who came before them. War memorials are more so by remembering the selfless sacrifice of those who served our country, defending freedom and liberty. In order to connect, one must develop an understanding of how those memorialized events affect their lives today no matter how long ago they occurred. The Wall, even with all those names carved into the otherwise flawless surface is a blank slate, enabling all to search for meaning. Like the classroom blackboard each person can write the story of how events years ago changed the world and their place in the world. Each finds meaning. The meaning they find may have nothing to do with those on The Wall. It may have not relate to Viet Nam or any survivors. Their meaning found in those dark slabs is unique to each individual. Meaning not only about the terrible cost of war, but also how death of loved ones hurt no matter the cause. They may achieve an answer to a random act of violence. They may develop a reason for suffering PTSD. The Wall accepts it all reflecting back each individual’s reality. The other monuments are what they are. It is hard to make the colossal statue of Lincoln something else. The size of the World War II Memorial is like the war, massive, so massive it is hard to take in all of it and understand, even after the passing of time. The Soldiers marching at the Korean War Memorial are always on patrol, frozen in time, with little room for any other interpretation. Only The Wall absorbs our feelings and casts back what we need to develop understanding. I’ve learned that sometimes the most important thing to understand is war is war and things sometimes happen for no reason. Tim O’Brien said often people expect a war story to end with a moral, but war stories are just war stories. Like war, they are what they are. Few end with a moral and fewer end happily ever after. Every war story is important to the teller. The teller may never know why, but something in that story changed their lives. Lots of things happen in combat. Only a few are remembered. The Wall captures each story, every memory. In time visitors may gain understanding of recollections from The Wall. For those who experience war, detail of stories fade as time marches on. They never go away. This essay is about war and remembering war. In school we learn every story has a beginning, a middle, and an end. War stories definitely have a beginning, though the beginning may vary by the teller. War stories have a middle, the part where the action occurs. The end however can be tricky because there is always something that happens next. Maybe that is why few war stories have morals, they never really end. That is why we need memorials like The Wall, to help make sense of the senseless, and maybe that is why The Wall is such a powerful memorial. The Wall allows everyone to find their own sense in the confusion. June Marie – flickr.com — Creative Commons Attiribution. Marion O’Sullivan – flickr.com — Creative Commons Attiribution. Laura — flickr.com — Creative Commons Attiribution. Author — Creative Commons Attiribution. Jason Brookman — flickr.com — Creative Commons Attiribution. The poor fellows think they are safe! They think that the war is over! Only the dead have seen the end of war. George Santayanna 1924 from Tipperary. By the time the Forgotten Fifty loaded the C-17 at the airfield at LSA Anaconda for the beginning of their trip home, their world had changed more than any of them realized. The 50 that loaded the plane were not the same as those who first came to provide peace and stability in a foreign land. Some of the faces had changed. Some who arrived left early due to visible and not-so-visible wounds. One of their company, Alan Burgess, returned in a flag-draped box several months earlier. We all thought we were done with war, and some upon returning home completed their enlistment after years of honorable service. Others continued their career thinking the wars were winding down and that the possibility of returning to combat was slim. They were wrong. In the last 100 years, the beginning of WWI, The Great War, The War to End All Wars, the war Santayanna talks about in Tipperary, over 625,513 Americans have died in over 30 conflicts around the world. Most of us know little about those 30 conflicts. Many Americans do not even know one member of the military. Even fewer knew one who died defending liberty. Unfortunately you can be sure more will die in the next 100 years. Remembering all those who died in the small conflicts and large are equally important. During this weekend of remembrance, take a few moments to learn about some of the forgotten conflicts our nation has participated in during our history. Identify a Soldier, Sailor, Marine, Airman or Coast Guardsman who has fallen protecting liberty. Find out something about that person’s life and death. Share what you learned at your community’s commemoration event. The Forgotten Fifty did make it home to the Land of the Free to be counted amongst the Brave. They can tell their tales at the next VFW meeting with those who also returned. You can bet they will never forget those who were not able to come home, or did so under their Nation’s flag. On this Memorial Day lets remember all our service members who died defending our freedom in conflicts large and small and provide comfort to the loved ones they left behind. From Flickr.com under Creative Commons Attribution License. Veterans recognize that all service members gave some, some gave all. As Memorial Day approaches I think about not only those who died honorably on the field of battle, but also those whose death was sealed in battle but occurred years later. We should remember the these warriors during our ceremonies and activities. It is important for citizens to honor those who died establishing and defending freedom. Those who die on the battlefield are treated like the heroes they are. They receive honor guards, special memorial services and words of appreciation for their sacrifice. Their names on our monuments and honor rolls are set apart by stars. Their families proudly display gold star banners. Recognizing the contributions of those who died in battle is appropriate. It is equally appropriate to remember delayed combat deaths and value those warriors as those who died on the battlefield. Our attention is frequently focused on the current crop of casualties and veterans from current conflicts. We neglect the heroics and service of those who die later from service connected afflictions. They receive no Purple Heart. 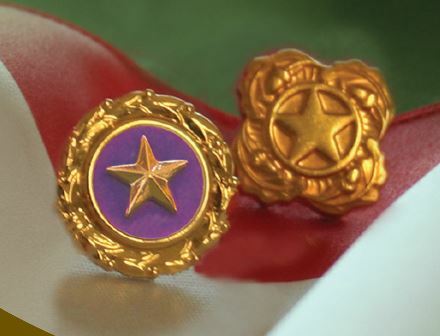 Their families receive no gold stars. Their names not set apart on our monuments, but their deaths are combat deaths. However former GIs dying from cancer from exposure to toxic chemicals during battle or by his own hand years later because of untreated post-traumatic stress deserves the same remembrance and honor as those who died charging Redoubts 9 & 10 in Yorktown, attempting to block the British attack in New Orleans, had the courage to fight against his brother in our Civil War, stepped on a land mine in Korea, ambushed in Vietnam, or died fighting any of the little known conflicts fought during American history. Remembering is important. Many professionals providing care for veterans of past wars know only of what they learned in a history class. Young people entering the health care system as providers in the next several years will have been born after the instigating events for our current conflict in Afghanistan or are so young they have no independent memories of planes crashing into buildings. Teaching providers about health issues related to military service will be important to ensure care received will address the sources of the issues and not just the symptoms. Additionally, many of these former GIs may qualify for VA care and to have their ailments service connected permitting them to access VA’s health care (which, regardless of current allegations, is high quality). Without an understanding of Agent Orange, asbestos, mental health issues, embedded fragments of shrapnel, and other combat related mechanisms of injuries dooms veterans in both the civilian and VA health systems to potential inadequate care. During your remembrances this Memorial Day, take time to remember all those who died as a result of armed conflict with our nation’s enemies. Remember those who died on the battlefield, and those who died later from hidden wounds. Honor their memories by not only thanking a veteran for his or her service but by also taking the time to listen to their stories of the great deeds of the fallen. You can never remember what you never knew. Adopt a family of a fallen warrior. Their stories are equally compelling. Veterans will tell you families have the toughest job in war. During your freedom celebration, establish a quiet moment for all to quietly reflect on their blessings as a result of others standing before evil.